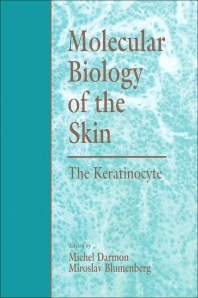 Molecular Biology of the Skin: The Keratinocyte comprehensively reviews the major aspects of keratinocyte and epidermal differentiation, physiology, and pathology, primarily focusing on the molecular aspects. This exciting new resource discusses keratin genes, retinoic acid, and the use of transgenic animals in the study of dermatological pathology. The volume also highlights areas of genetic disease, new animal models to help in understanding dermatological disorders, and gene therapy using skin as a target. W.W. Franke, a pioneer in the study of the molecular biology of keratins, has written the foreword for the book. Molecular Biology of the Skin: The Keratinocyte is intended for use by dermatologists and basic researchers in cell and developmental biology. It will also be valuable for surgeons and other clinicians as well as researchers in gene therapy, virology, and pharmacology. M. Blumenberg, Molecular Biology of Human Keratin Genes. J. Schweizer, Murine Epidermal Keratins. B.A. Dale, R.B Presland, P. Fleckman, E. Kam, And K. Resing, Phenotypic Expression and Processing of Filaggrin in Epidermal Differentiation. U. Reichert, S. Michel, And R. Schmidt, The Cornified Envelope: A Key Structure of Terminally Differentiating Keraticonytes. D. Hohl and D. Roop, Loricrin. M. Darmon and M. Blumenberg, Retinoic Acid in Epithelial and Epidermal Differentiation. B.A. Bernard, Human Papillomavirus and Malignant Transformation. C. Cavard, A. Zider, And P. Briand, Transgenic Mouse Models for the Study of the Skin. J.M. Carroll, E.S. Fenjes, J.A. Garlick, And L.B. Taichman, Keraticonytes as a Target for Gene Therapy. Chapter References. Index.